Gal can't say she's short on groceries!!.. Like the heifer! I still like the first one best. Like the first bull but not the third. He looks too short bodied but it might be the picture. Like the stats on the first one too. I would definitely take the old cow, and the heifer if you like her. 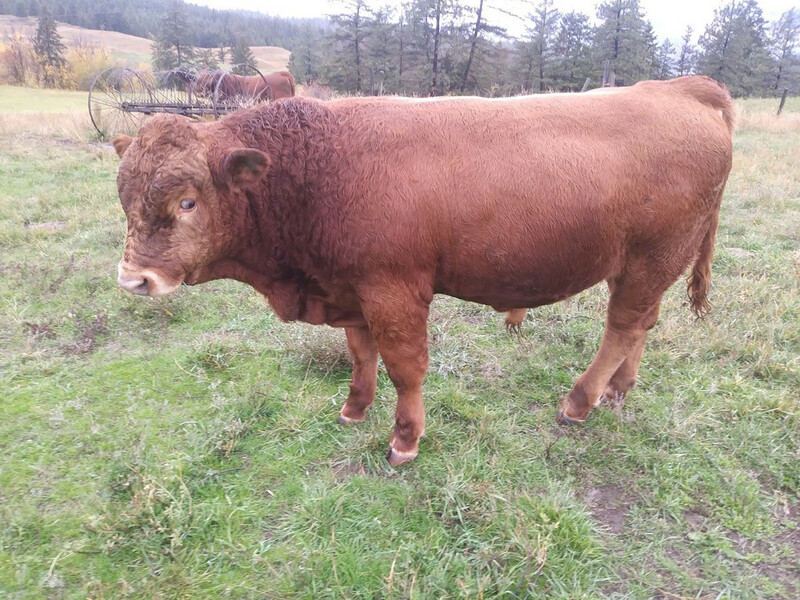 I'm a sucker for older cows, but those "longevity genes" really say alot to me. She has a nice udder for her age, and if she can feed a calf decent for a year or two, you might get some good genetics to keep. farmerjan wrote: Like the first bull but not the third. He looks too short bodied but it might be the picture. Like the stats on the first one too. I would definitely take the old cow, and the heifer if you like her. I'm a sucker for older cows, but those "longevity genes" really say alot to me. She has a nice udder for her age, and if she can feed a calf decent for a year or two, you might get some good genetics to keep. Is the third bull consigned too? I think you'll be fine with her if she ended up with a black calf....you can always sell the black calf at weaning. no, the only one consigned is the one I had kinda set my eye on. In my red herd I just don't want a black calf, and considering she's an old cow, it's not like I might have a lot of time to get the calf I want from her.. If she's bred to a red bull I have the option of shipping her in august and keeping a good calf. Well, I think I struck a deal on this heifer.. I'll have to wait to see the rest of the bulls in person again to finalize which of them comes home with me though. 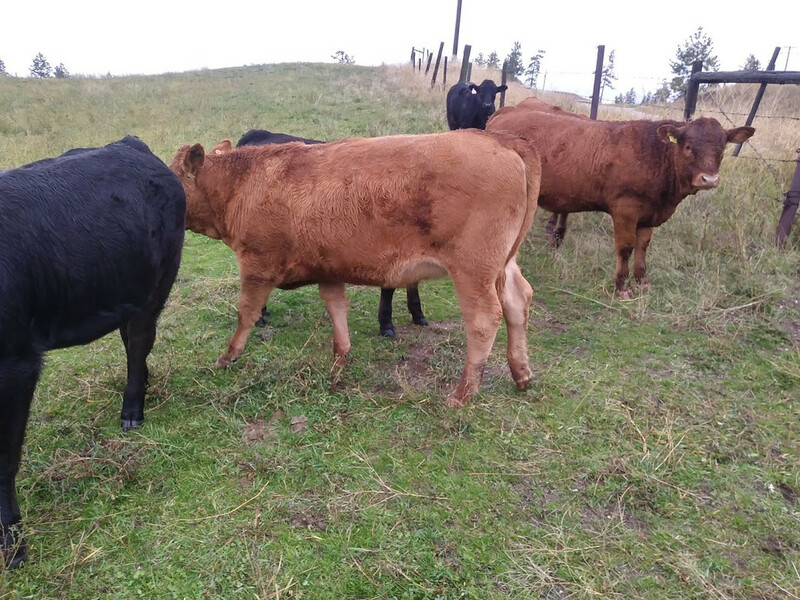 Nesikep wrote: I'm kinda torn between the first and last of the two bulls pictured.. the last one really has a nice stance to him, the first looks like he's got the most masculine features for his age though.. There were other good looking bulls there that I just didn't have time to get good pictures of, Fellow had a doctors appointment to get to.. I'd take a closer look at all of them again before making a final decision.. I do like that heifer as well. First one looks as though he might have some hair. Contrary to some belief, hair is an important item here in the north. Gelbvieh seem to lack it as a rule but when you find a good, hairy one latch onto him. May be the pictures but 2 and 3 look slab sided and narrow compared to the first calf. We built this outfit on heifers from honest old cows like that one. Latch onto her and treat her well! 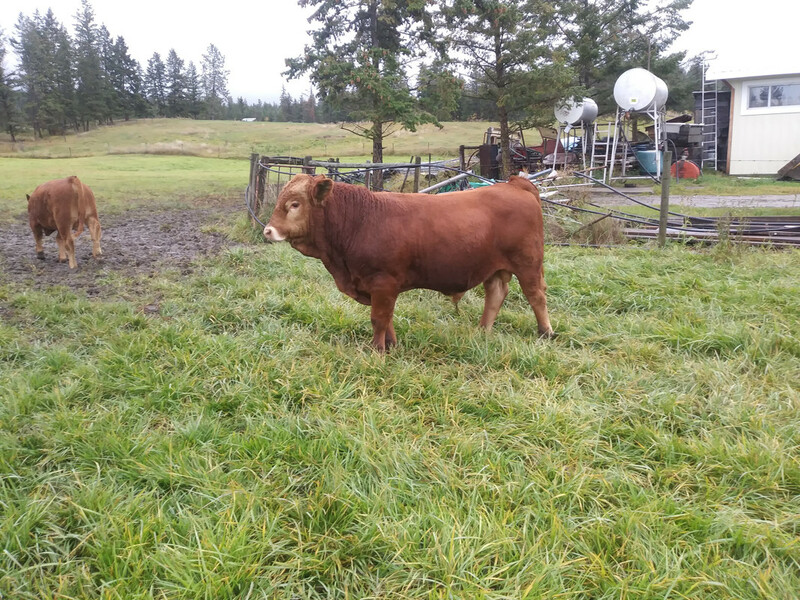 you're in luck, that's the one that's consigned to the williams lake bull sale! This one is 1/2 GV, 3/16 Saler, 1/8th SH... She's not cold!